Sun Ra (1914-1993): The Cosmo Man est une exposition scénographiée par Nadia Lauro dans le cadre de l’exposition Alien Encounters, Nottingham Contemporary . This is the first exhibition in the UK devoted to the work of Sun Ra, the legendary jazz musician and Afro-Futurist. It aims to present him as a “total artist”. Besides his compositions, recordings and concerts, Sun Ra was a writer, philosopher and poet. He also designed his Arkestra’s record covers and publicity, and conceived and starred in a feature film, Space Is the Place (1974). Sun Ra took the name of the Egyptian sun god and claimed to have come from Saturn. The exhibition is designed by leading French scenographer Nadia Lauro. Alien Encounters is a season of four interrelated solo exhibitions. Each is highly performative, drawing on techniques and tropes relating to cinema and theatre. Speculative, mutable identities and alternate worlds are superimposed onto normative and recognizably familiar realities in order to escape, resist or transform them in turn. The season, titled after Rana Hamadeh’s longterm project, emerged from conversations between Nottingham Contemporary’s team of curators and its group of young people, Collabor-8. 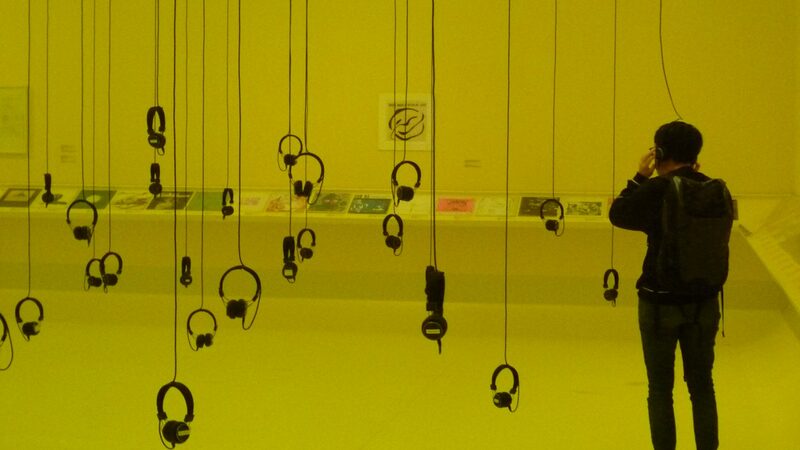 It coincides with Circuit: Affinity, Nottingham Contemporary’s festival for young people curated by young people. Sun Ra, the late legendary jazz musician, is presented here as a “total artist,” within a striking exhibition design by Nadia Lauro. 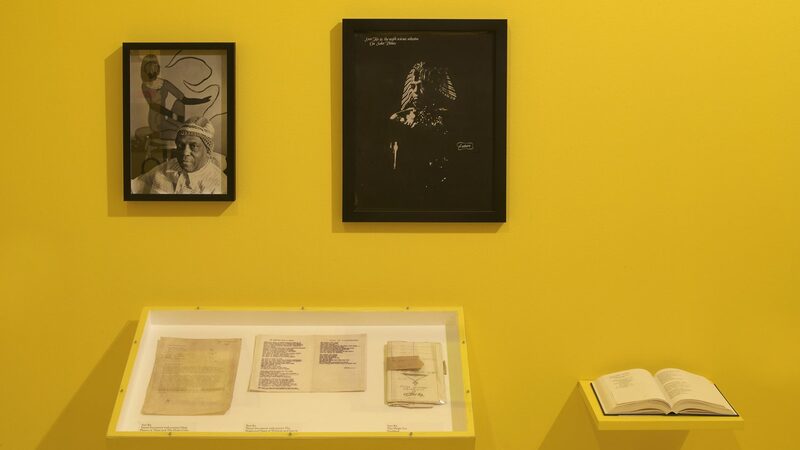 The exhibition, a first in the UK, presents the full breadth of his creative output: music, writing, drawings and film, including Space Is The Place (1974), the feature film Sun Ra conceived and starred in. For Sun Ra, outer space was less alienating and more hospitable than the United States in the mid-20th century. The Black Lives Matter movement shows his radical political allegory remains as relevant today. The Sun Ra Arkestra will play at Nottingham Contemporary on Sunday 25 October as part of the exhibition. Sun Ra ’s influence can be seen beyond jazz, from Funk to Detroit Techno. 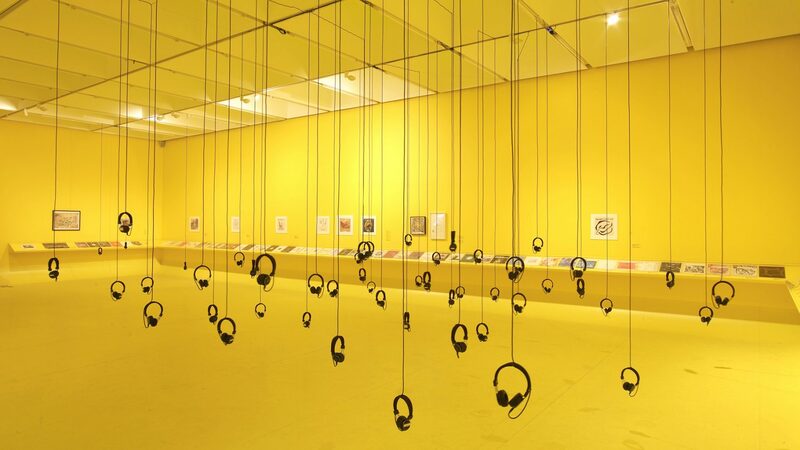 He influenced and supported the Black Arts Movement in the 60s and 70s, and has been a touchstone for number of visual artists, including Mike Kelley, Black Audio Film Collective, The Otolith Group, Lili Reynaud Dewar and Rana Hamadeh. Sun Ra is also regarded as the founding father of what’s come to be known as «Afrofuturism- a science fiction and cosmic philosophy that acts as an allegory for the alienation of being black in America, traced back to slavery and the Middle Passage. 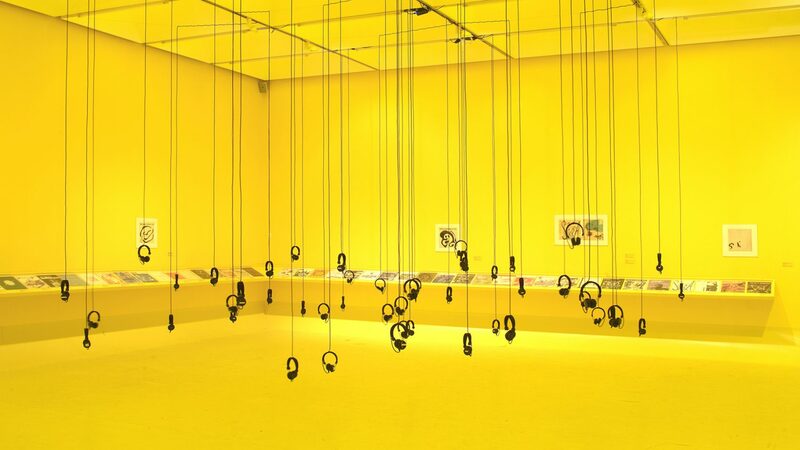 Rana Hamadeh’s referentially dense installations, game-like structures and lecture-performances explore the idea of being alien as a way to address urgent issues in the Arab (and wider) world today, including how the legacies of colonialism continue to shape the often traumatic political present. For her first solo exhibition in the UK, the Lebanese artist presents The Sleepwalkers, the latest chapter of her long-term project Alien Encounters, which was inspired by Space Is the Place. For The Sleepwalkers, Hamadeh revisits the story of the infamous serial killer sisters Raya and Sakina, the first women to be sentenced to death in Egypt’s modern history. The Sleepwalkers is a co-commission by Nottingham Contemporary, The Showroom (London) and Institute of Modern Art (Brisbane), in collaboration with Flat Time House (London) and Primary (Nottingham). Pauline Boudry and Renate Lorenz’s complex and playful films and filmic installations unsettle the usual historical account and propose possible queer futures. For their exhibition at Nottingham Contemporary, they continue their long-term investigation into the relationship between performer and audience, the non-conforming individual and society. In their latest film, I Want (co-commissioned with Kunsthalle Zurich), the American artist Sharon Hayes reenacts a performance by Kathy Acker, the late American experimental novelist, punk poet and feminist. Their exhibition takes its name from a novel by Acker, and will also include their recent film Opaque (2014), a performative encounter through enemy lines involving a text by Jean Genet and Edouard Glissant’s theory of opacity. Working across performance, installation and video, Danai Anesiadou plays with rumour, fantasy and the mystical. For the title of her first UK solo exhibition, Anesiadou quotes Jean-Claude Junker’s injunction to Greek people to vote “yes” to the punitive bail-out at the recent referendum. The exhibition includes a monumental wall installation of theatrical and movie props. Combining allusions to classical mythology, pop culture and contemporary politics the installation also refers to her everyday experiences as a repatriated Greek citizen.